There are various radiological procedures that may be done when an individual is diagnosed to have chronic kidney disease. These tests are done when the doctor suspects that you may have certain diseases that can be detected by the procedure, for example, stone disease, tumor, structural abnormalities, etc. 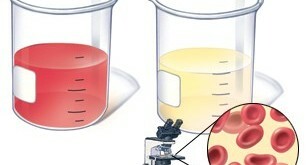 However, the tests may sometimes be ordered to gain more information about the size and condition of the kidneys. 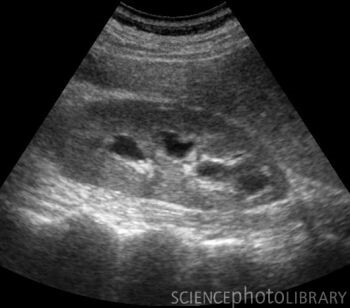 What is an ultrasound of the kidney? 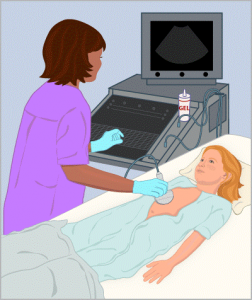 During an ultrasound examination, a small device known as a probe sends sound waves into the area of interest, and images are recorded on a computer. The black-and-white images show details of internal structures such as muscles, organs, and blood vessels. A simple ultrasound of the kidneys can provide information such as the size of the kidneys whether there is obstruction from stones or tumors or abnormal structures like cysts or scarring. This test is pain-free although some pressure can be felt at times. It is also free of radiation. The procedure usually takes about 30 minutes. 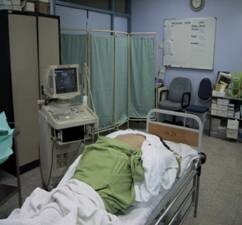 How to prepare for an ultrasound examination? An ultrasound examination is usually done in the radiology department, but it may also occasionally be performed at the bedside in wards. You need to have a full bladder so you must not pass urine just before the examination. You will be asked to change into a cloth gown and lie on a table. The room is usually dark so the images can be seen clearly on the computer screen. A technician (sonographer) or a doctor will spread a clear, warm gel over the lower ribs at the back and in front of the abdomen. This gel helps with the transmission of the sound waves. What are the other types of radiology imaging that may be required? In some cases, the doctor may want to examine a small sample of your kidney under a microscope to determine the underlying cause and extent of disease. How is a kidney biopsy done? 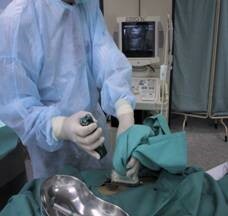 The procedure of getting a tiny sample of tissue from the kidney is called a biopsy. 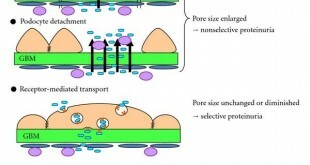 This is a minor procedure which is done under aseptic technique. A local anaesthetic agent is used to provide pain relief. The procedure is carried out with the patient lying on his/ her abdomen under ultrasound guidance (used to locate the kidney). Occasionally, a biopsy is done under CT scan guidance. A local anaesthetic agent is injected into the area for biopsy to provide pain relief. A special needle is used to obtain the tiny tissue sample. After the kidney biopsy, your blood pressure, pulse rate and pain score are monitored at regular intervals. You will also be monitored for signs of bleeding. What are the possible complications of a renal biopsy? Pain at the site of the biopsy. Haematoma – a collection of blood around the kidney. Commonly small and do not cause symptoms. What are the contraindications for a renal biopsy? 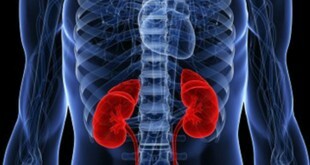 When would you need a kidney biopsy? Apart from providing information for the diagnosis of kidney disease, another reason for performing a kidney biopsy may be to monitor the amount of damage in the kidneys, and assess the effect of treatment that has been given.